I apologize for the lack of Kalamazoo/SW Michigan posts lately. There just hasn’t been much new open up that we’ve had time to get to for lunch. I have a few more in my back pocket that I’m hoping to get to soon, but in the meantime, there is one place that caught my eye a few weeks ago that I made time for. Anyone that works with me in Grand Rapids has been forced, at time or another, to try my favorite taco place Taqueria San Jose. 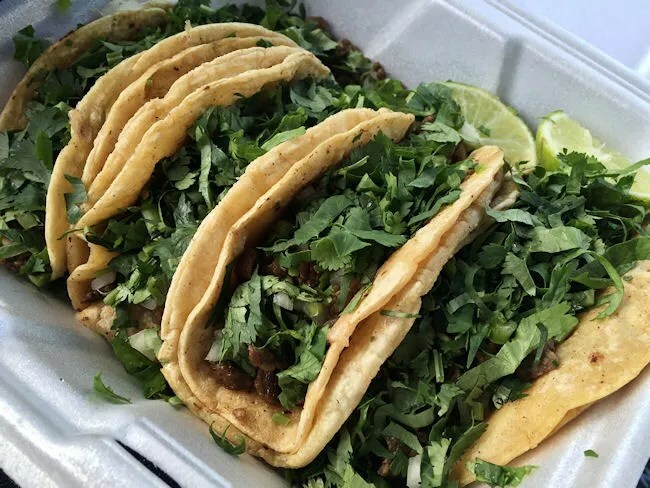 I love the tacos from the small, family run joint on Division Avenue just south of downtown Grand Rapids and I’ve never met anyone who doesn’t. Unfortunately, I haven’t really been able to find anything in Kalamazoo similar. There are some good Mexican places and even a couple of good food trucks, but I’m always looking hoping I’ll find killer tacos somewhere I just haven’t looked. 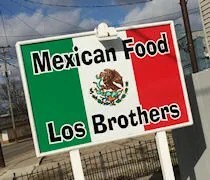 A couple of weeks ago, I was driving down Portage Street when I noticed a sign for Tacos Los Brothers. They were one of the food trucks that I would stop at from time to time and they always had great tacos…I just never knew when they would be open. The sign out front is for a new restaurant with counter service and a dining room. They serve up a lot of the same things the food truck did, but they do it in a nice new building. When you walk in the door, you immediately encounter the order area. 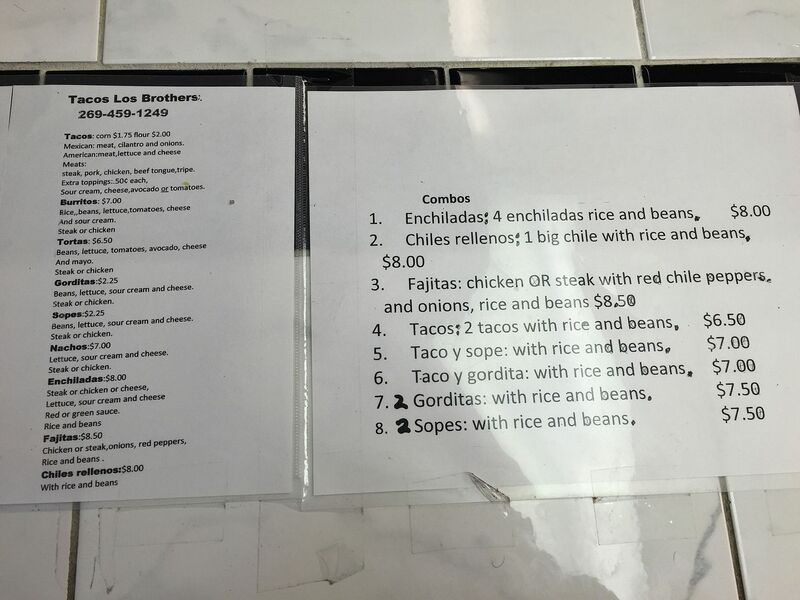 There is a paper menu taped on to the counter and a visual with most of the selections hanging over the kitchen area. The menu hits on a lot of the quick and easy Mexican favorites like tacos, burritos, tortas, enchiladas, and the like. There are even a few combo options that include rice and beans. I was at work and only had a few minutes for lunch…plus I only wanted tacos, so I ordered four steak tacos on corn tortillas. I had asked for their to be only cilantro on the tacos, but I think she must have understood me to say onion and cilantro as both came on my taco. As it was being bagged up, I was asked if I wanted hot sauce, and of course, I did. The shop is cash only and tacos are $1.75 each. My four tacos came out to right around $7. I decided to pass on the dining room and go sit in the parking lot of my next assignment. I didn’t want to be late and the time was a little flexible, so it seemed like the safe bet. I popped open the Styrofoam container once I got situated in the parking lot. I noticed the onions right away but decided just to leave them on. Once I added the hot sauce, I wasn’t even able to notice them. They blended right in to the delicious sauce that is chunkier than most hot sauces and adds quite a kick to the tacos. The warm corn tortillas were almost overflowing with meat and veggies and the steak was quite tender and juicy. 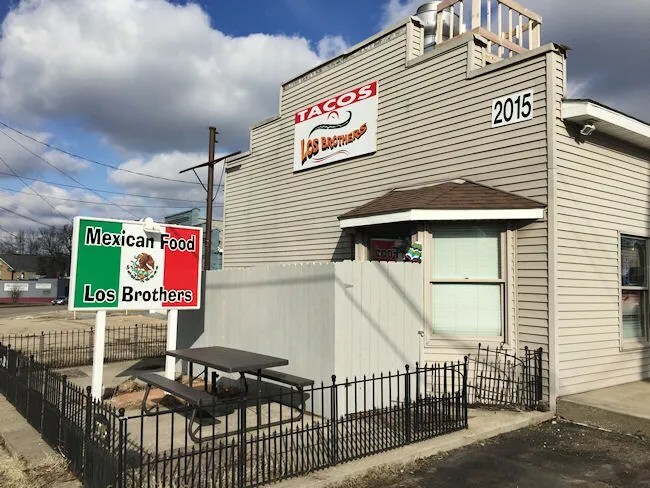 As I mentioned in my review of Taqueria Los Brothers, the tacos are fantastic and fall just short of being as good as my Grand Rapids place. I’ve actually been craving them since my visit earlier this week and already thinking about a return visit this weekend. Taqueria Los Brothers really does something unique in the Kalamazoo area. Sure, you can get tacos at other places, but it’s just not the same as a small, family run Taqueria.